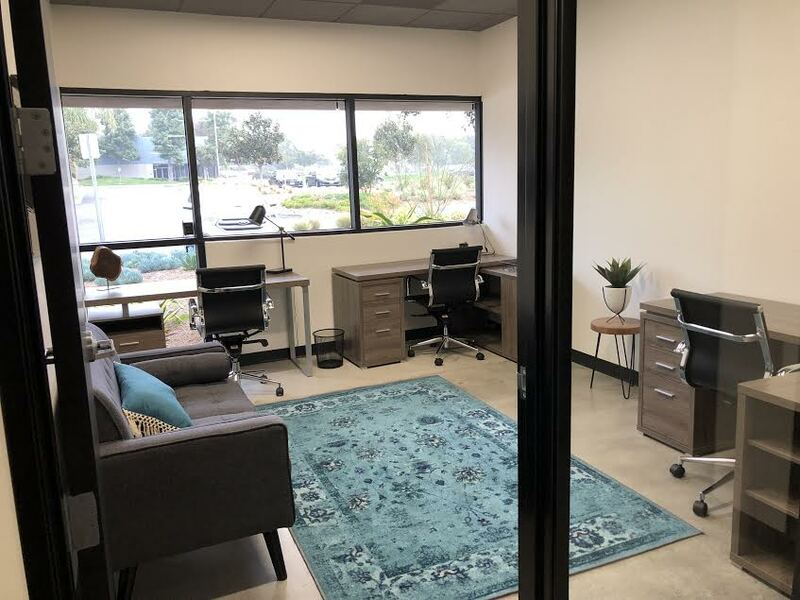 WorkSpace provides private offices, coworking, and services designed to create a community of San Diego's small business professionals and entrepreneurs working toward a common goal of success and self fulfillment. Interested in joining our community? Get in touch! WorkSpace is located at 2292 Faraday Avenue, Carlsbad, CA 92008. You can find us on Yelp, and on Carlsbad.org. We are open Monday through Friday, 8 AM to 5 PM. You can contact us at (760)444-5584. Located in beautiful Carlsbad, San Diego, we are near Bressi Ranch, Carlsbad Village, and the McClellan-Palomar Airport (CLD). Driving to WorkSpace from McClellan-Palomar Airport (CLD) couldn't be easier. When leaving CLD, head southeast on McClellan/Palomar Airport Road and make a left at the first cross street onto Palomar Airport Road. Use the left two lanes to turn left onto El Camino Real. From there, turn left onto Faraday Ave. WorkSpace will be on the right.